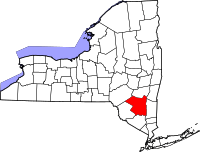 The Esopus Wars were two localized conflicts between Dutch settlers and the Esopus tribe of Lenape Indians during the latter half of the 17th century in what is now Ulster County, New York. 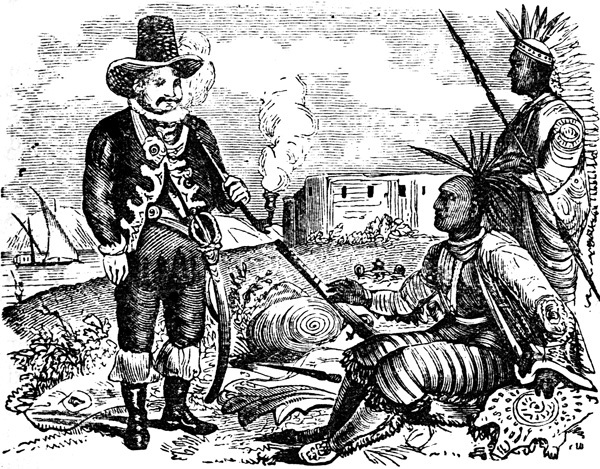 Like many other wars during the colonial period, at bottom they were the result of competition between European and Indian cultures, aggravated by mutual misunderstanding and suspicion. The first battle was started by Dutch settlers; the second war was a continuation of grudge on the part of the Esopus tribe. The most lasting result of the wars was the display of power by the Esopus. These two wars coincided with the broadening of English interests in the Dutch territories of the New World. The Dutch difficulty in defeating the Esopus alerted the English to the power of these Native Americans. The city of Kingston was first called Esopus after a local Esopus tribe, then Wiltwijck (sometimes anglicized to Wiltwyck). Settled in 1651, it was one of the three large Hudson River settlements in New Netherland, the other two being Beverwyck, now Albany, and New Amsterdam, now New York City. The colony was conceived as a private business venture to exploit the North American fur trade. 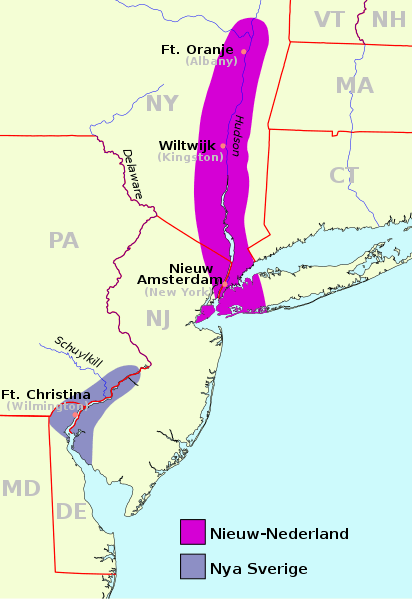 New Netherland was slowly settled during its first decades, partially as a result of policy mismanagement by the Dutch West India Company (GWC), and conflicts with Native Americans. Not until 1654, when forced to surrender Dutch Brazil and forfeit the richest sugar-producing area in the world, did the company belatedly focus on colonization in North America. Margriet (Margarita) HENDRICKSE was born about 1622 in The Netherlands. Her parents were Hendrick HENDRICKS Van Gouts and Kiis [__?__]. She first married in 1639 in Recife, Brazil to Mathijs Jansen Van KEULEN (1602 -1648), After Matijs died, Margariet married again before 16 Dec 1648 to Capt. Thomas “Clapboard” Chambers, the “lord of the Manor of Foxhall” at Kingston, NY. Margriet took Mathijs’ lands at Wildwyck after his death. She was one of the 17 original communicants at the Old Dutch Church, Kingston. Mrs Van Keuren Chambers was one of the first settlers of Kingston, by virtue of an Indian deed dated 5 June 1652. A Dutch patent for 76 acres was issued to her by Gov. Peter Stuyvesant on 8 Nov, 1653. Either late 1656, or sometime during 1657, Thomas and Margriet moved to Esopus. In the Spring of 1662, Peter Stuyvesant, Dutch Governor of Niew Amsterdam, established the village of Niew Dorp on the site of an earlier Native American Settlement. On June 7, 1663, during the Esopus Wars the Esopus Indians attacked and destroyed the village, and took captives who were later released. England took over the Dutch Colony on September 6, 1664. On September 17, 1669, the village, abandoned since the Esopus Indian attack, was resettled and renamed Hurley. The Lenape have a current estimated population of 16,000. Lenape, meaning “original people.” Europeans named them Delaware because they lived along the Delaware River and its tributaries. It’s ironic these people were called the Delaware because the name of the bay, the river, and, consequently, the American Indian people and U.S. state all comes from our ancestor Thomas WEST 3rd Baron de la Warr (1577 – 1618) (Wikipedia). As a result of the American Revolutionary War and later Indian removals from the eastern United States, the main groups now live in Ontario (Canada), Oklahoma, and Wisconsin. In Canada, they are enrolled in the Munsee-Delaware Nation, the Moravian of the Thames First Nation, and the Delaware of Six Nations; in the United States, they are enrolled in three federally recognized tribes, that is, the Delaware Nation and the Delaware Tribe of Indians, both located in Oklahoma, and the Stockbridge-Munsee Community, located in Wisconsin. Groups of self-identified Lenape, such as the Lenape Nation of Pennsylvania, also live in other places where they are not officially recognized by the subsequent settler nation state. At the time of European contact in the 16th and 17th centuries, the Lenape inhabited a region on the North Atlantic coast roughly comprised the area around and between the Delaware and lower Hudson rivers. Although never politically unified, it is frequently referred to as Lenapehoking or Lenape country. Lenapehoking hosted over two dozen Lenape polities including Esopus. Some of their names, such as Manhattan, Raritan, and Tappan, remain inscribed on the landscape. Based on the historical record of the mid-seventeenth century, it has been estimated that most Lenape polities consisted of several hundred people. The term Algonquian is occasionally used as a shorthand for people who spoke similar languages, but they had otherwise little in common. Lenape society is organized into clans determined by matrilineal descent. That is, children belong to the mother’s clan, where they gain their status and identity. The mother’s eldest brother was more significant as a mentor to the boy children than was their father, who was of another clan. The Lenape had three clans (or phratries) – Wolf, Turtle and Turkey – which traced their descent through the female line. For example, if a mother belonged to the Turtle Clan, then each of her children also belonged to the same clan. The sons had to marry women from other clans, and their children belonged to their mother’s clan. Hereditary leadership passed through the maternal line, and women elders could remove leaders of whom they disapproved. Traditionally, the Lenape had no concept of landed property. But clans had use rights. The Indians, inhabiting Ulster County and the adjacent regions, belonged to the Munsee (at the place where stones are gathered together) tribe. They occupied the head waters of the Delaware and the west bank of the Hudson from the Catskills to the borders of New Jersey. Their principal band was the Minisinks (the place of the Minsi), who occupied the southwest part of Ulster and Orange counties and the adjoining parts of New Jersey and Pennsylvania. The other bands were the Catskills, Mamekotings, Warwarsinks, Waoranecs, and Warranawonkongs. They were called the five tribes of the Esopus country. The Catskills had their principal village just north of the Esopus creek. The Warwarsinks were located in the town of Warwarsing, at or near the junction of the Warwarsing and the Rondout creek. The Mamekotings occupied Mamakating valley west of the Shawangunk mountains. The Waoranecs were located at the mouth of Wappingers creek and around the cove or bay at the head of Newburgh bay. The Warranawonkongs was the principal band of the Esopus Indians. They had a village in the town of Shawangunk and another in the town of Warwarsing. Their wigwams stood at and about Wildwyck, now Kingston. They frequented the mouth of the Rondout creek. The tribes were divided into clans or families, each having its chief. The names of some of these families have been preserved, as the Amogarickakan family, the Kettsypowy family, the Mahon family, and the Katatawis family.